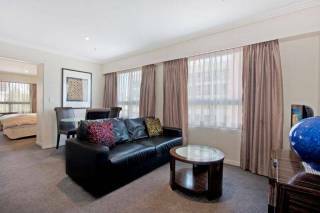 Enter on the lower level of this apartment which features 2 queen sized bedrooms, and 2 modern and sleek bathrooms, one being an ensuite. Both bedrooms access a sunny balcony. There is a laundry with washer and dryer on this level as well. Take the stairs to the upper level of this sleek apartment. Stunning timber floors feature throughout the open plan living area, which flows onto a large undercover entertainers deck. The modern kitchen is will equipped with high quality appliances, cookware and crockery. 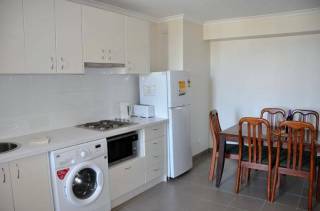 The apartment is stylishly furnished with high quality pieces throughout. There is also reverse cycle AC. ‘The Marbury’ is a sought after apartment building that features well maintained communal gym and a swimming pool. There is also a secure garage parking space with this apartment. 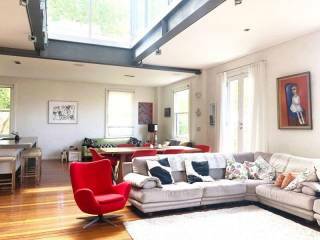 Surry Hills is an exciting and vibrant suburb that is located on the city fringe of Sydney. 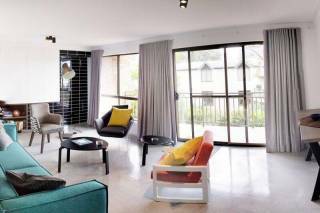 This suburb is only a stone's throw away from Sydney City, Paddington and Darlinghurst. It is the home of Oxford Street and Taylor Square – a very fashionable area of Sydney with many pubs, cafes, restaurants and bars. It is also home to the annual Mardi Gras Parade.